How’s your March Madness bracket looking? No matter how good it is, it isn’t good enough to touch Warren Buffet’s bank account. 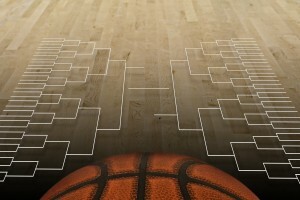 In a stunt that received national attention, Buffett (who is worth $63 billion) offered $1 billion to anyone who could fill out a perfect bracket in the officially named “Quicken Loans Billion Dollar Challenge with Yahoo Sports.” Buffet must’ve done some research because experts put the odds on someone correctly guessing the winner of every game in the 68-team single-elimination tournament at an unfathomable 1 in 9.2 quintillion. By comparison, this makes your odds of winning the Powerball (1 in 175 million) look enticing. Barring a miracle, no one was going to win. And though the contest was still alive after day one, by day two of the tournament every bracket entered was busted. But even before day two began, Buffett already had a nice return on this marketing investment. Shares in his company, Berkshire Hathaway, jumped 1.7% from the afternoon of day one to the morning of day two, making Buffett $1.05 billion in less than 24 hours. Since the first day of the tournament, Berkshire Hathaway is up 1.63% at the time of writing. It doesn’t take market researcher to realize this was a phenomenal marketing strategy. While no one will receive the billion for a perfect bracket, the top 20 entries in the contest will share a few million dollars and youth charities will receive another $1 million. Will Buffett do the competition again next year? He hasn’t said, but if the free advertising he received is any indicator, he’ll go wherever the numbers take him. This entry was posted on Wednesday, April 2nd, 2014 at 6:06 pm. Both comments and pings are currently closed.